Its been over a year since I wrote a review about Boxee here is the link. 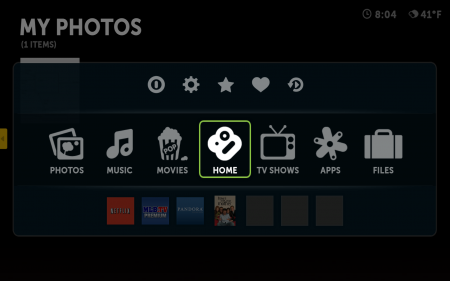 I originally only wanted to use boxee for Hulu, and kind of gave it up over the summer since I started using the Hulu Desktop App. 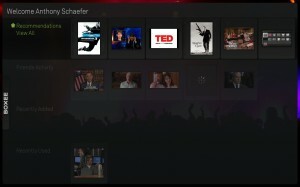 However I signed up for Netflix and MediaPortal has a plugin, but its not the best interface, so I thought I would try boxee out again. 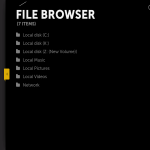 They just released a new beta several days ago, Perfect! I am very surprised on how much it have evolved over a year. At this current time, I would save boxee is the best media center app I have ever used, even if it doesn’t included a TV backend ( unfortunately that isn’t boxees goal). 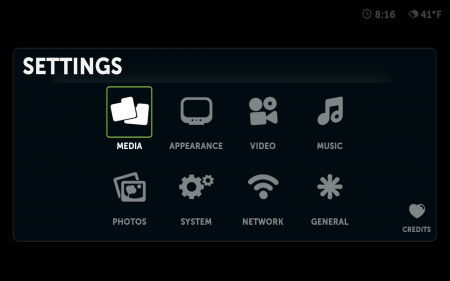 Overall it does a great job playing media back, but I would say the apps really stick out here and they are the deal breaker. I am going to post screenshots and talk about them throughout this post. 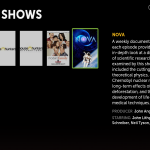 My TV Shows will show any files TV shows you have locally or ones you have queued up to watch. My Apps – There are some very handy apps here. 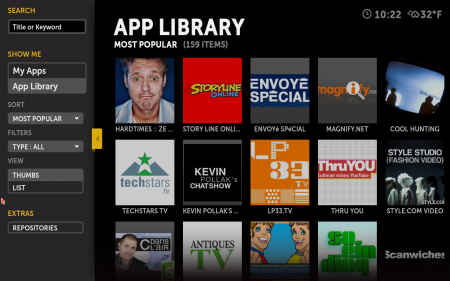 My App Library – I recognized what most of the first 20-30 apps where, once you started looking at the full list there are alot of hand crafted ones toward the bottom. 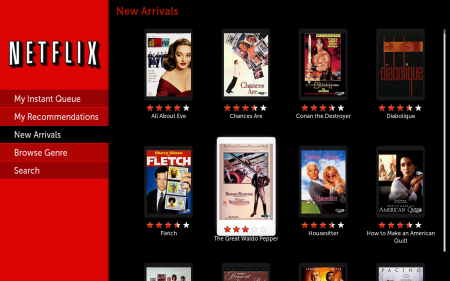 Netflix has a great interface and it works great too. 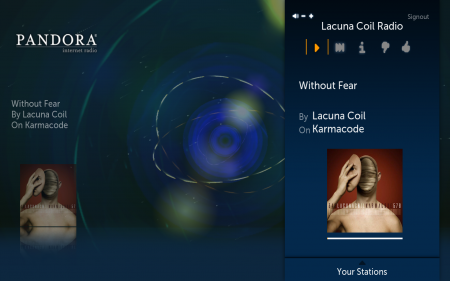 Pandora – at your remote fingertips. 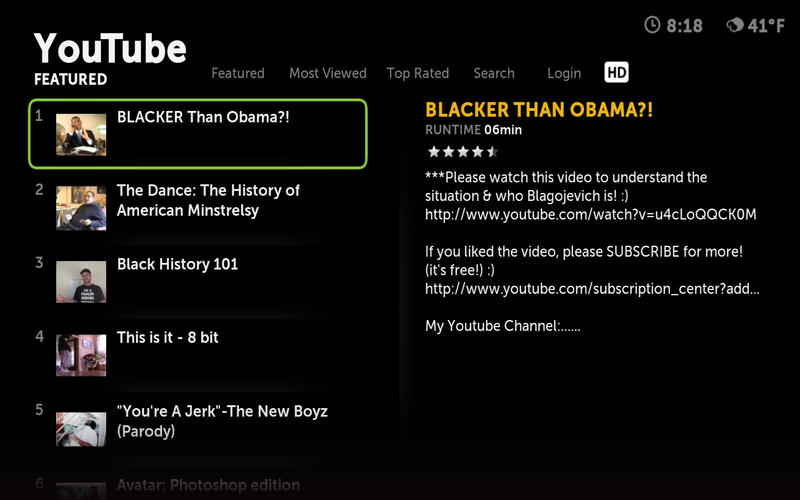 Youtube – Search for that funny video or just browse. 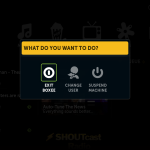 Clicker – Clicker is an odd application. I am not sure if 100% understand it, but it seemed like an extension to the TV show Library. 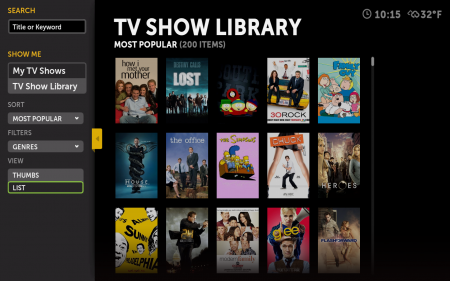 There was more TV shows available on Clicker that were not available on TV shows Library, I recommend checking it out! Quick Menu – when you back out several times will come to the quick menu, a few settings on top, the main row, and your shortcut row. 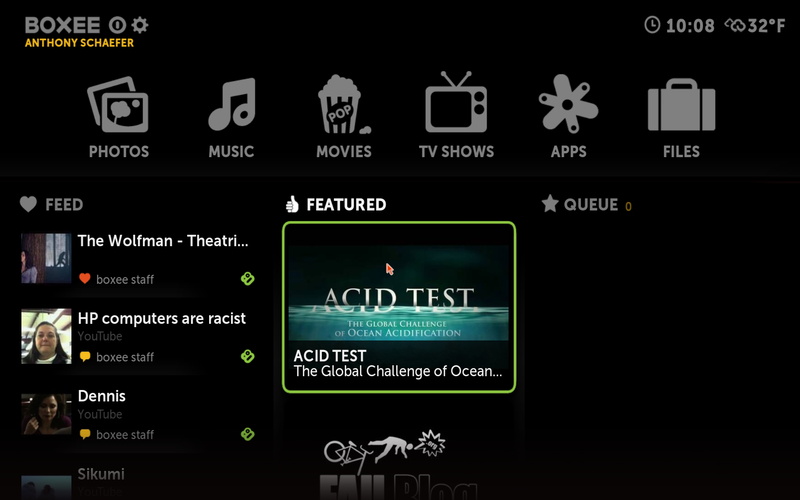 The feed page, from your social boxee feed. 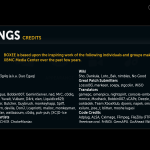 Credits – Give credit where credit is due, and boxee gets the credits here! 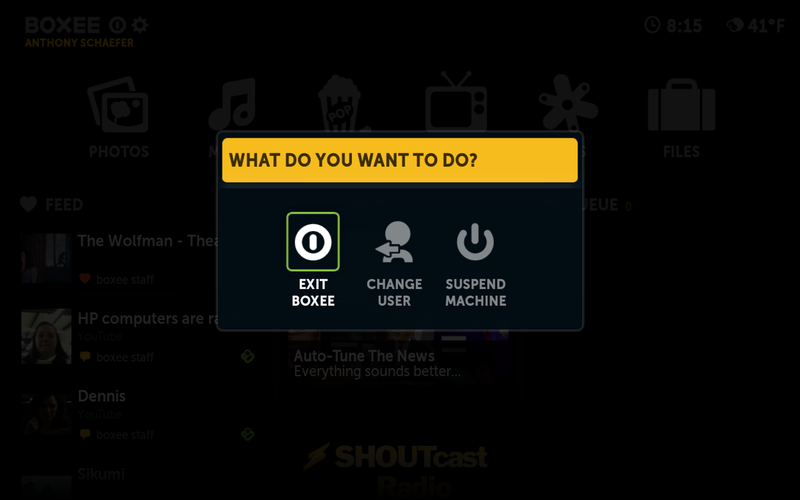 Well when you finally put down your remote and are done with Boxee here is the exit box. 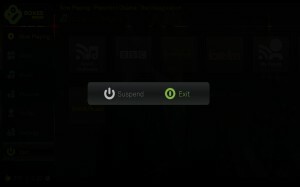 You can exit, logout, or suspend the PC. 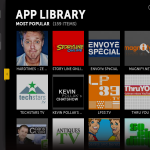 Overall boxee has greatly improved from a year ago. 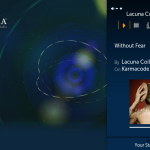 Its a high sophisticated media player that works well at the 10 foot interface. 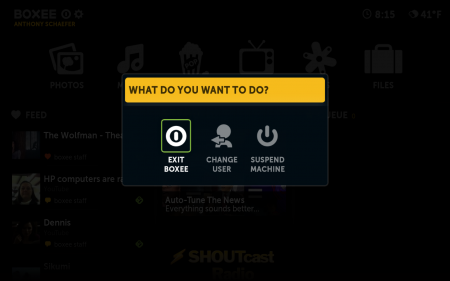 This makes me interested in the Boxee Box. 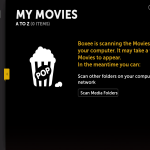 I will continue using boxee for netflix for the time being, and who knows, I might be able to write another review in another year. 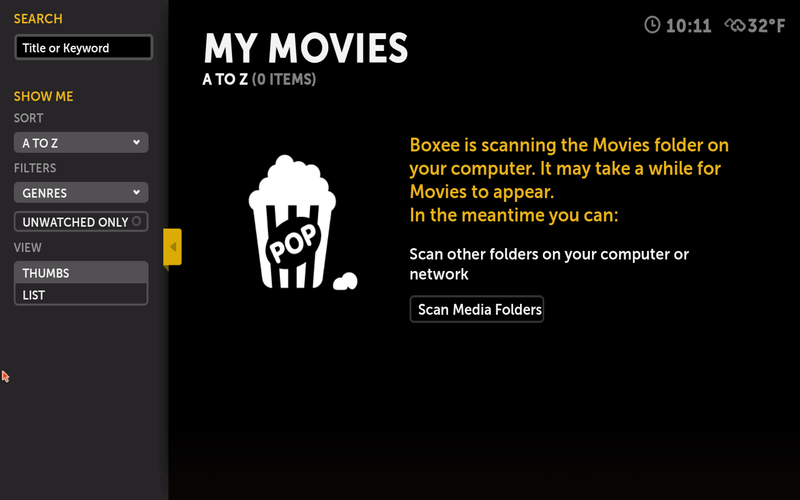 Boxee is available for Windows (7,Vista,XP) Mac, Ubuntu, and AppleTV. 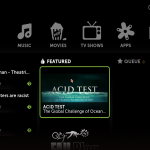 I am testing boxee on Vista and XP. 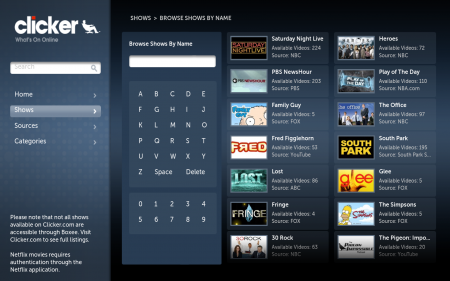 There is also a ipod touch/iphone Boxee Remote. So Hulu just released a new desktop app a few days ago ( I am a little slow) . 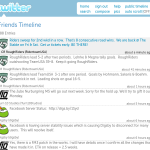 From first impression its farily well done for a beta release. 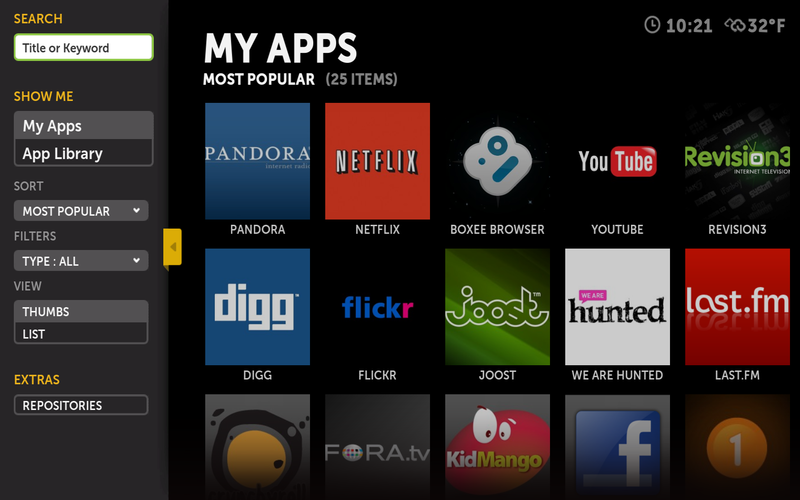 To be honest I like it better then the boxee interface. 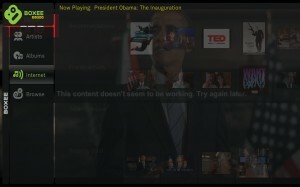 I watched a few shows on it and everything seemed to work well. 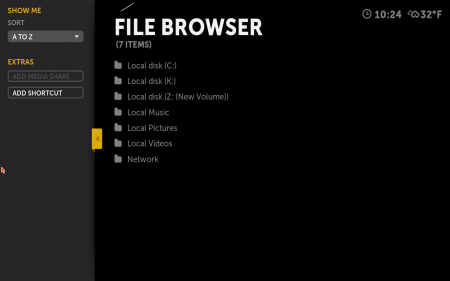 My main purpose is to open it from MediaPortal. 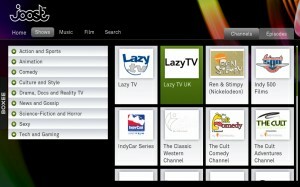 The best thing about it was it worked well with the remote, once you got use to the buttons. 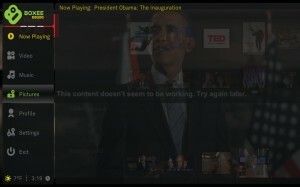 From what I could tell about the app, it was just some kind of flash overlay. Other then that not much to write about it other then it works!! 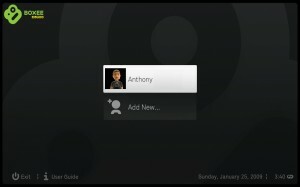 Ok I follow boxee on twitter and they posted about a week ago on how they wont have the boxee windows release done until June. 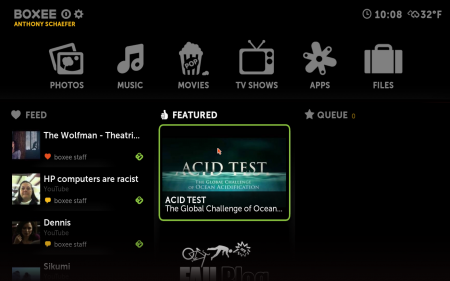 I am really starting to think that boxee is bias toward macs. I am sure there is a legitmate reason they are taking longer but WHY… Why is the most popular OS with the most users the last to get updated. Maybe they want to be nice and actually account for the 1% of the market. 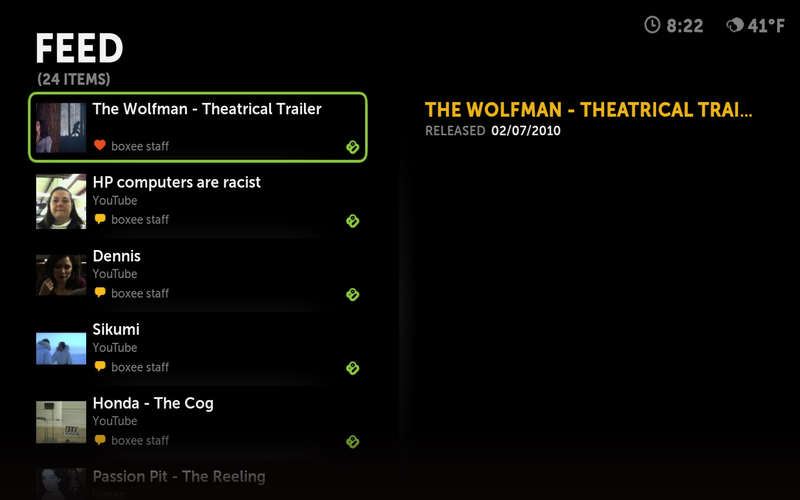 Well whatever I guess I will just stick with the old release. If I have time I will write a new review on the new version when its released. Since its seems to be “private” I thought I would share the link. 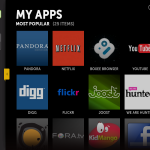 First make sure you register on boxee.com then after registering go to http://app.boxee.tv/windows-alpha to get the latest windows alpha release. 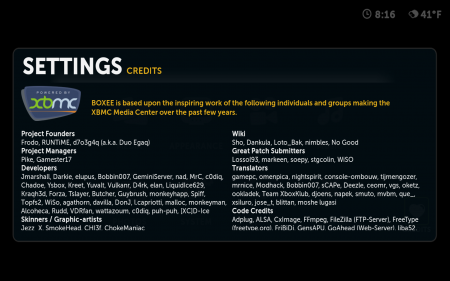 They hopefully will be going to public betas soon. Since I use my htpc ( home theater pc) everyday I thought I would try out the newest media center program called boxee. 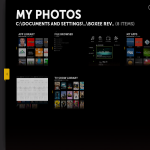 It took me a while to get the windows alpha invite, but it seems to be worth it. 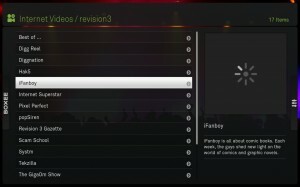 I have been using the application for a couple of days, so I thought it would be time to write a review for it. 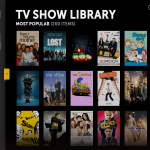 The windows version is currently missing netflix, but I believe it will be added soon. 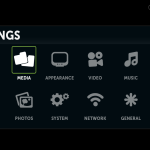 I normally use mediaportal for my media playback, but since boxee has internet streaming video its the only reason why I am testing it out. 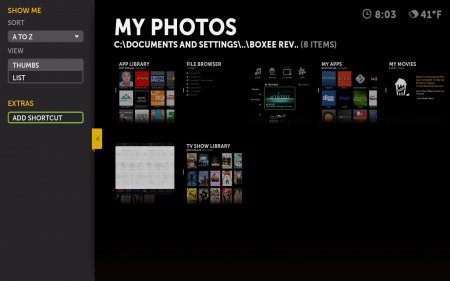 One thing I thought was awesome, was when I pressed the “Print Screen” Button, boxee knew what I was doing, and asked me to setup a folder for screenshots, which made this review really easy. 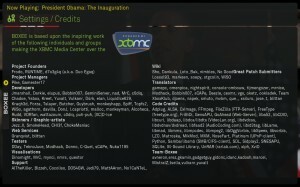 The screenshots were saved as .bmp which take up alot of room, so maybe an option to make them jpgs would be nice, because I had to open up all these images and save them a jpg’s. Also I wanted to include some larger thumbnails because I use a 1650×1050 widescreen monitor, but on wordpress medium is 300×187 and Large is 1024×640, and the large ones messed up my wordpress themes. I have include a lot of screenshots for this review if you just want to see the slideshow click here. 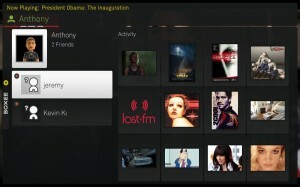 After you setup an account online at boxee you login, as you can see I have my account added already. 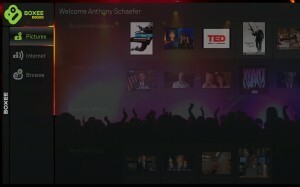 Once you are logged in, you will see a screen similar to this, Recommendations from friends, Friends Activity, Recently Added ( to your library), and Recently Used ( viewed or listened to), the menu is on the left. 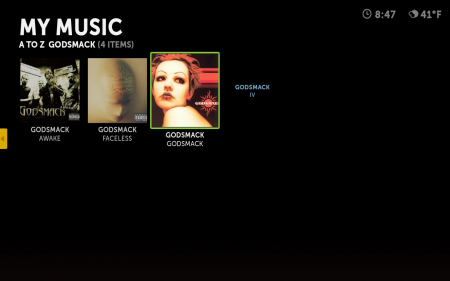 Now to the menu on the left, this is where you will all your navigation.You see Now Playing, Video, Music, Pictures, Profile, Settings, and Exit. If you have a dvd inserted it will also show up. 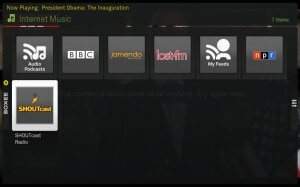 Here you can see your video menu. 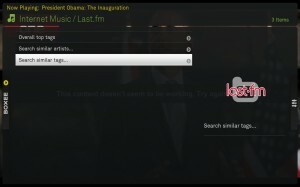 If you have video files on your computer, it will try to sort them into either movies or tv shows. I will talk mostly about the Internet because that is what I am most interested in. 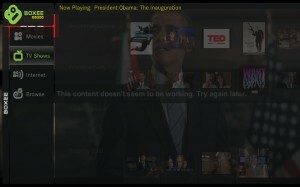 Here you can see the different Internet channels you can watch. 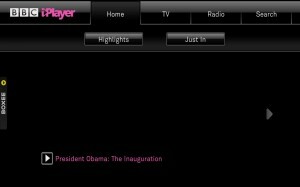 BBC Iplayer doesnt work in the US, while other ones like HULU wont work outside the US, without some kind of proxy. 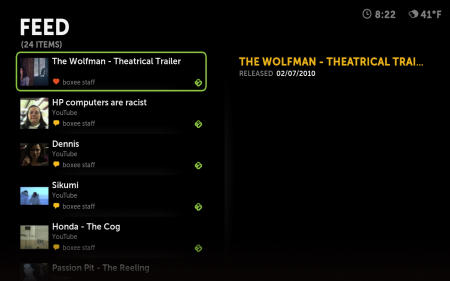 Below from the Apple Movies Trailer Section there is 4 different types of views you can have of when looking at movies and such on boxee. 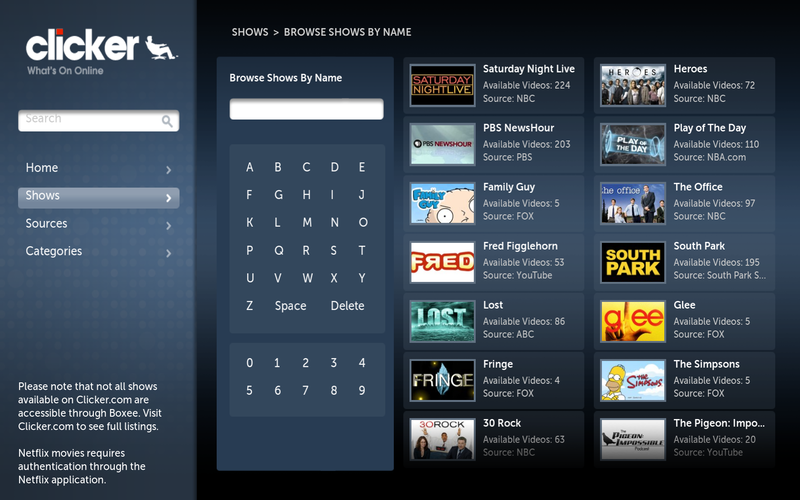 Below is Hulu, it even gives you an option to login to bring up your hulu queue. 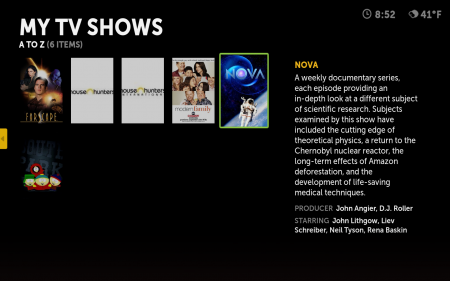 Here are the Hulu TV and Movie Viewing, almost identical, and very similar to the website. 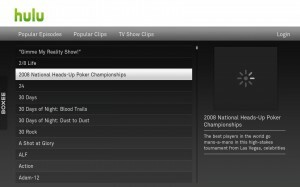 Comedy Central – includes South Park!! 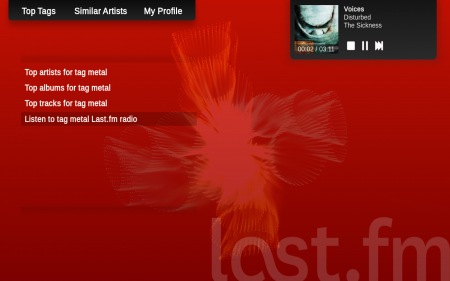 Again very similar to the Video Layout, on the left you got Artist, ALbums, Internet and Browse. It will look at your music folder and sort it for you, and get info and Lyrics. 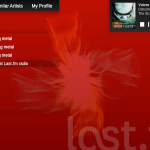 The different Music Internet Channels available. 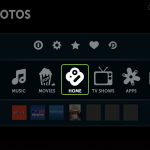 The picture tab, allows you to look at your local pictures, along with Internet ( flicker, picasa and The Big Picture) sites that host pictures. 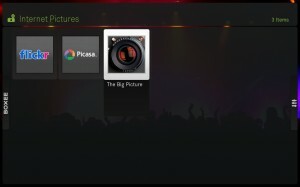 Flickr, Google’s Picasa, and The Big Picture. I have never heard of The Big Picture, but then again that doesn’t mean much. 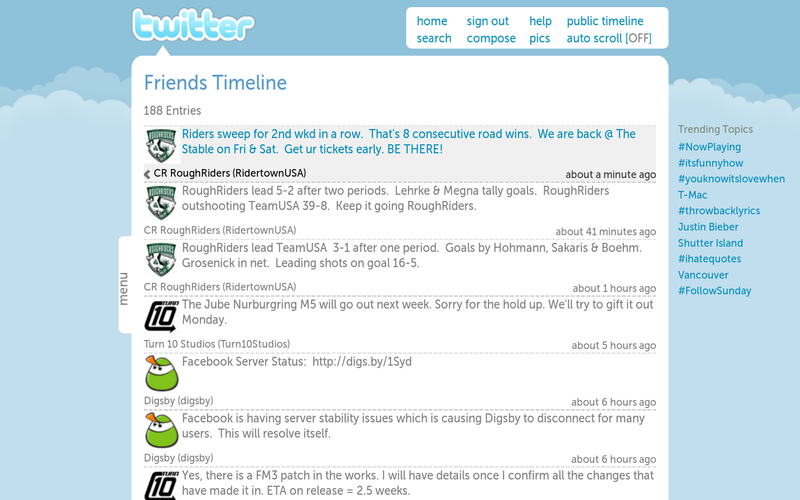 Here is the profile Tab, it brings up what I have previously viewed. But it also brings up your friends recent activity. You can also view their friends. 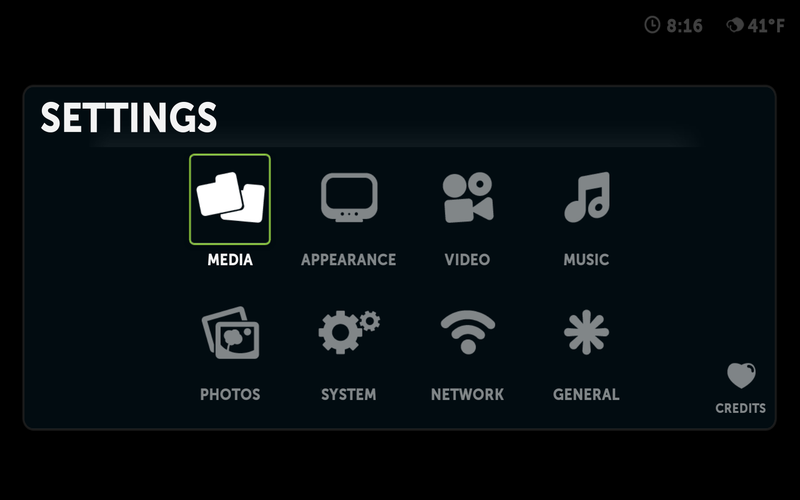 If you press “A” on your keyboard, it will bring up the Library Status, basicly boxee caching your media. 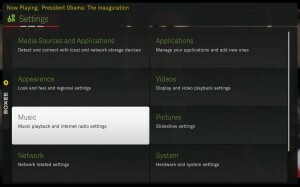 Here is the settings page, I wont go threw all, since there is alot of stuff here. 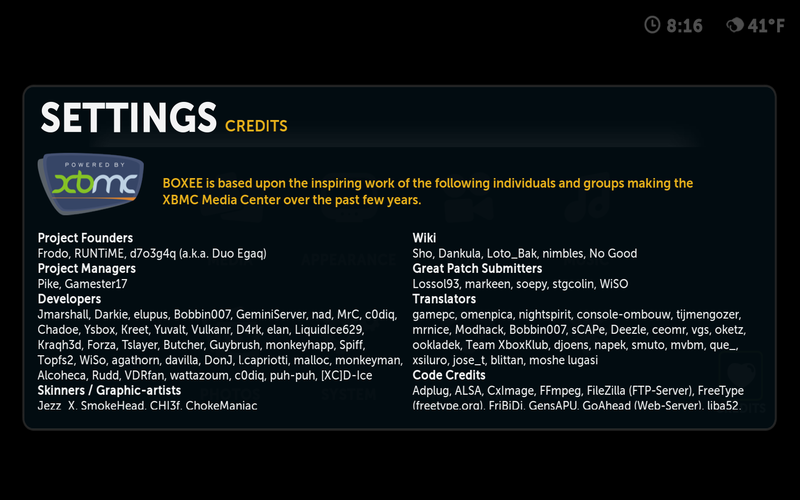 The Credits Page, which I should I would share of all the hard work these developers have done. 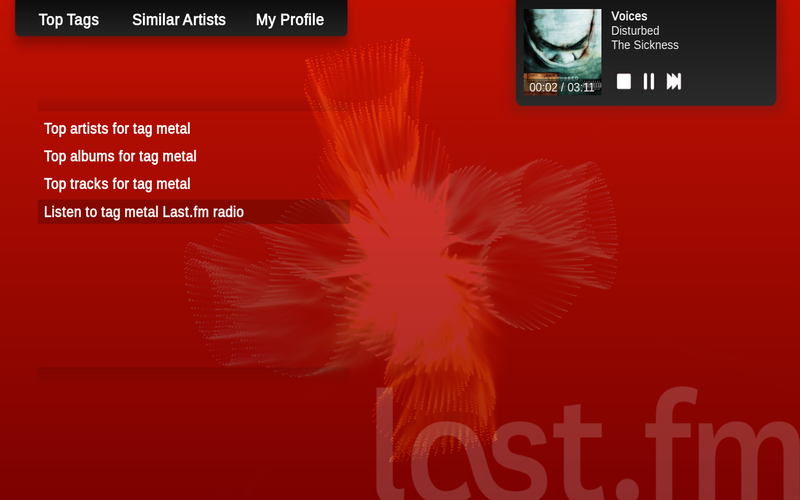 Finally The exiting of the program. 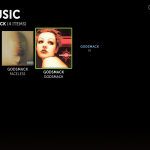 If you go to suspend, it does a windows lock I noticed. 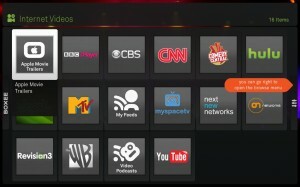 Whiles its virtually impossiable to cover everything, I hope this gives you a general idea of what boxee is captable of. So go on and give it a try.